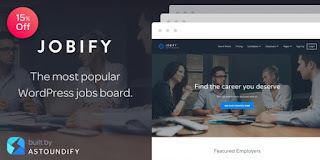 If you want to use WordPress for your job board solution then check out out list of job board plugins from WordPress here. Check out this brilliant list of premium themes of 2018. They are suitable for any purposes.These themes are best rated from their buyers. If you are looking for an alternative way of building your company website rather than a wordpress blog then Drupal is just right for you. If you are thinking about building a job board site using wordpress then you might want to check out this page.